You may have heard about tile counting. That will be a topic of a different strategy post. 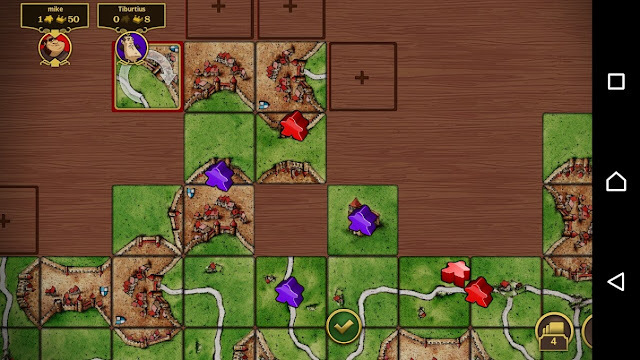 You should spend few minutes going through a list of tiles that came up with your Carcassonne manual. You may notice that there are few combinations that do not exist. You will not find tiles like CFRF or CCFR. Knowing that will help you finish your projects and prevent others from finishing theirs. In Tails from the (Battle)Field you may find many cases when this knowledge helped to overcome the opponent. Please take a look at the following example. Blue player cannot finish cloister, city and a road because of one tile which is missing in base set (you can find such in expansion).